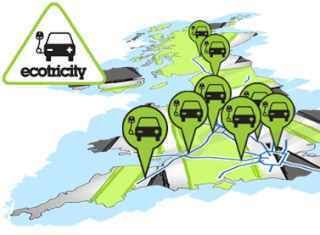 The completion of a new charging network that stretches the length of Britain’s busiest roads makes long-distance journeys by electric vehicles a realistic prospect in the UK and Ireland, thanks ESB (Ireland) and Ecotricity (UK), the network operators. Each installation includes at least two multi-standard charge points compatible with most EVs on sale today, being capable of powering a typical electric vehicle’s battery to 80% of its capacity in less than 30 minutes. Before the electric highway (e-roads), people didn’t buy electric cars because of the lack of charging facilities. And people didn’t build charging facilities because not enough people bought electric cars. There was also the ‘range anxiety’ or the fear of running out of power when travelling long distances. So far, the average car in Britain travels less than 50km/day, a distance most modern electric cars can run without needing to charge; this is why the idea behind this operation was to create a supply of electricity pumps on the motorway network instead of urban areas.